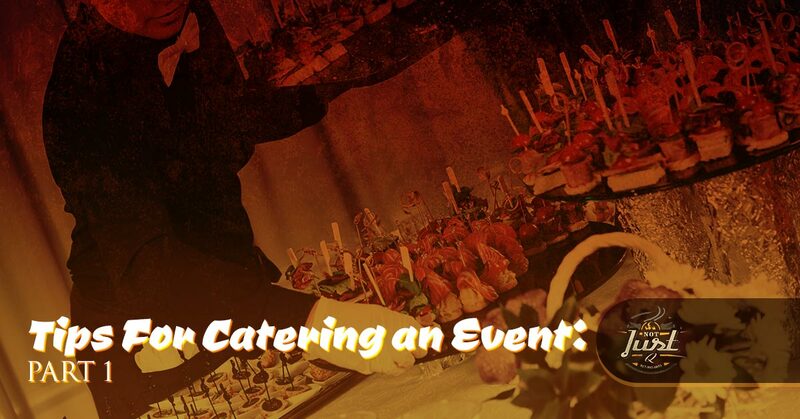 Are you looking for the perfect catering service to create a remarkable event? Do you want people to be talking about your event for years to come? Is it time for you to get away from the usual foods at your catering event for something more memorable? If you’re nodding your head in agreement, then it’s time to explore our catering options at Not Just Q. Not Just Q is not your average Texas BBQ in the Dallas area. We pride ourselves on preparing homemade, delicious, mouthwatering BBQ for people who enjoy this tasty sustenance. At Not Just Q, we offer catering services for events that will be within your budget no matter how small or large the special occasion may be. If you absolutely adore BBQ, then book our services now for your next event. If you need to cater an event, then you’ve come to the right place. These tips will help you gather the information you need to throw a spectacular event. As a catering service, we have the necessary experience to plan events that range from corporate lunches to weddings. If you’re in the middle of planning any type of event, then our tips will guide you toward a successful event that everyone will love. Remember that if it’s your first time catering an event, then reach out to us to learn more about financing options and the view the menu to figure out the amount of food and what you should serve your guests. When you plan an event, you want to keep it short and sweet. By controlling the period of the event, you will watch how much you spend on it. For example, you’ll want to plan out the event and the hours that you want to have people at the event to get a better idea of how much food you’ll need. On one hand, you could have a cocktail hour then dinner, which will take about five hours or you can have a few hours for just dinner with drinks involved. By figuring out the duration of the event, you’ll encourage people to have fun while still staying in your budget. Controlling portions is something that very seldom happens in the food industry, especially when everything’s bigger and better in Texas. Instead of encouraging a sit down meal with staff serving delicious dishes, explore the option of a buffet and food stations. With food stations or buffet style, you’ll be able to control how much people are getting and the amount of money you’re spending on staff. A sit down meal will require linens, set tables, and serving pieces. If you take the time to figure out what corners you want to cut, then you’re able to save money and no one will notice. If you wanted to offer coffee at your event, but you don’t have the budget to offer it, then it’s okay to eliminate it. No one will know that coffee could’ve been an option unless you tell them. Figure out where you can cut corners for your party, so you can stay in your budget. For more tips on catering an event, stay tuned.